Syntax Records | Hawthorne's Most Wanted out now! 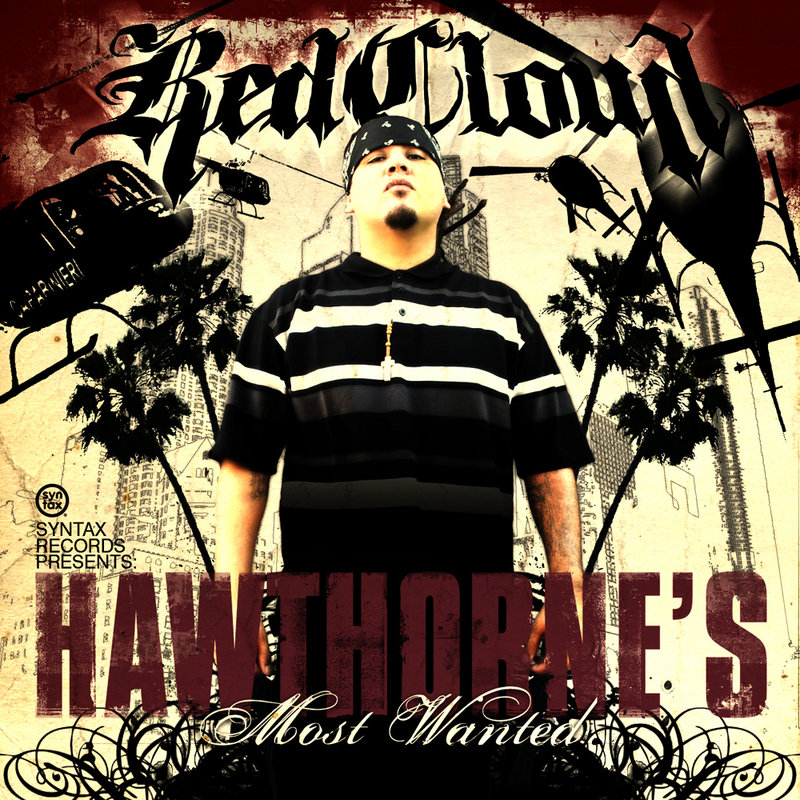 RedCloud, a Mexican Indigenous hip-hop artist belonging to the Chiapas tribe born into a family knee-deep in the Chicano Gang lifestyle, will release his long-awaited debut album HAWTHORNE’S MOST WANTED this month on Syntax Records, distributed by Koch. The rapper has three singles kicking off HAWTHORNE’S MOST WANTED. The funky “Tapatio” features RedCloud and Pigeon John trading braggadocio rhymes, while the thumping “Guns & Roses,” which presents RedCloud alongside heavyweight guests Jayo Felony, Eek-A-Mouse and Tonex, examines spiritual topics. “405,” with Lord Zen and Dannu of the Visionaries, allows RedCloud to salute the famous California highway that connects several prominent cities, including Los Angeles and San Diego. Turning away from his rough upbringing, RedCloud found hip-hop in the high school yard, and had a spiritual awakening. He became the one to beat on Los Angeles’ Power 106’s Tha Baka Boyz freestyle competition Roll Call and developed a regular Los Angeles club following that evolved into a non-stop U.S. touring schedule. RedCloud’s first two underground, self-released albums, 2001’s IS THIS THING ON? and 2003’s TRAVELING CIRCUS sold more than 40,000 copies collectively. Currently, RedCloud’s 2007 touring schedule is packed with 140 shows. However, he not only plays the clubs with his music from the indie releases, as well as the new HAWTHORNE’S MOST WANTED, but the rapper does mission outreach to Native American reservations where he comes face to face with poverty, addiction and other rough problems.